It's been about a month and a half since Gen Con took place. I enjoy Gen Con for the madness that it seems to call forth. New games getting released, announcements getting released during the show that change how the hobby will work, and tons of cool stuff to check out. Now that life is allowing me some time, I want to take a look back at Gen Con 2018. To preface this review, I'd like to explain that if I miss some details or have confused some things, my wife was rushed to the hospital the Sunday of Gen Con. Things are good now, after another surgery, but my memory of the convention may be slightly fuzzy. Gen Con is a convention that feels like a trade show. It's chaos and running around and tons and tons of people, but it's still a fun time for me. I get to check out a lot of new games and follow up with publishers and designers. There were two must have games for me at Gen Con 2018. Trainmaker and Railroad Ink. Both themed around the same thing, the games are very different in execution. Trainmaker is a re-release through AEG of a dice rolling, icon matching game designed by Chris Leder. Chris is a good friend of mine and back when the original game of the same name was released through Grey Gnome Games, I developed a sort of AI player that allowed the game to be soloable. It's nothing fancy, but Chris really liked the idea. My AI player, the Steam Engine, was added to the rules as an official part of the game with the AEG edition of the game. This means that while it's a minor thing, I earned my Game Designer badge on BoardGameGeek! Railroad Ink is a roll-and-write game where players will try to match up the connection points across their boards and try to out-score opponents. I love roll and write games and the design of the game really caught my eye. There are two editions, which have some interesting differences. At the core, without the expansion dice, the two editions are the same. The Deep Blue edition comes with lake and river dice, while the Blazing Red edition comes with lava and meteors. I'm excited to try the different "inspansions" that come with the game. With those games obtained, it was time to look at the rest of the show, and there was a LOT of show to see. I won't be covering everything, but I'm going to hit on the surprises from the show. One of the games that got talked about before the show with my friends from Punchboard Media was Spirits of the Wild. It hadn't really caught my attention, but with so many games, it's hard to keep them all straight. That being said, look at this game! A bunch of really cool looking stones, great art across the board, a small Coyote figure acting as the trickster of legend... I'm on board. Two-player, solid game play, and an MSRP of $15? I'm wondering how this works. And then I see that it's by Mattel... Mattel? At Gen Con? I was shocked. I talked with them about games and what they brought to the show, and after playing Spirits of the Wild a few times, I'm really impressed. It's a light two player stone collecting game that is gorgeous and entertaining. 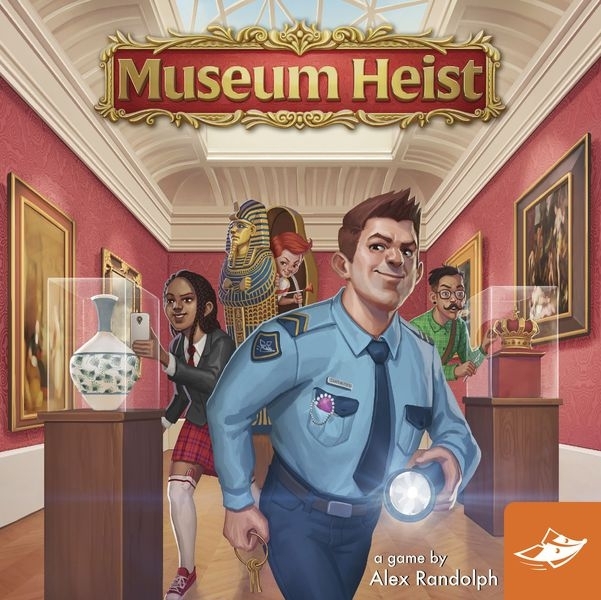 Another surprising game is Museum Heist. I plan on doing a full review of this one, but there is a big difference between the simple, unassuming look and the thinky, mind-bending game play. It's a game where players declare who will steal a piece of art, but multiple players can select the same thief. It has a heavy dose of "I can't drink the wine in front of me." and it works very nicely. I enjoy a number of the games that Level 99 Games produces. They do some very unique games and a number of their games are great for two players. 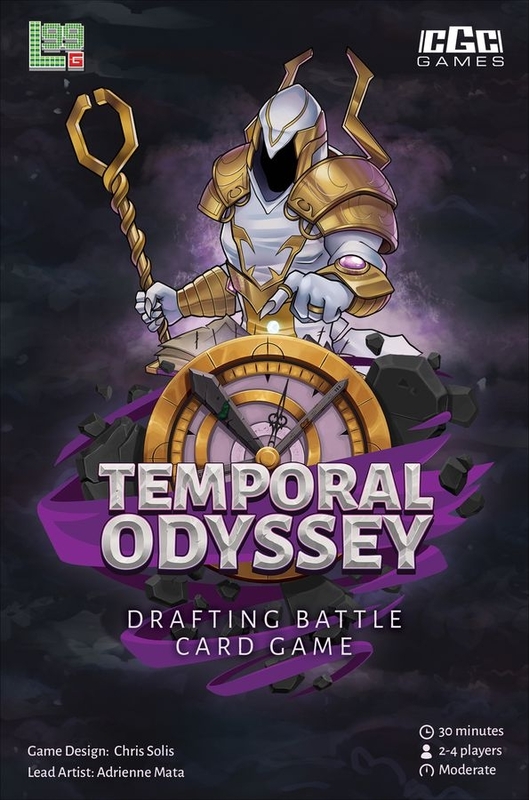 I brought home Temporal Odyssey, a game about combating time travelers. The hardest part of killing a time traveler, of course, is making it stick. In this combat game, you have to get your opponent to have enough Instability cards and then finish them off one last time. It's an easy to learn combat game with lots of nuances. One I'm hoping to play a lot more. That's a few of the games that I brought back with me. With life being life, Gen Con feels like it was ages ago, but it was still (overall) a fun time. I'm excited to get the other games to the table and would love to talk about them. If you spot a game in my haul photo that you'd like to hear about, please let me know.